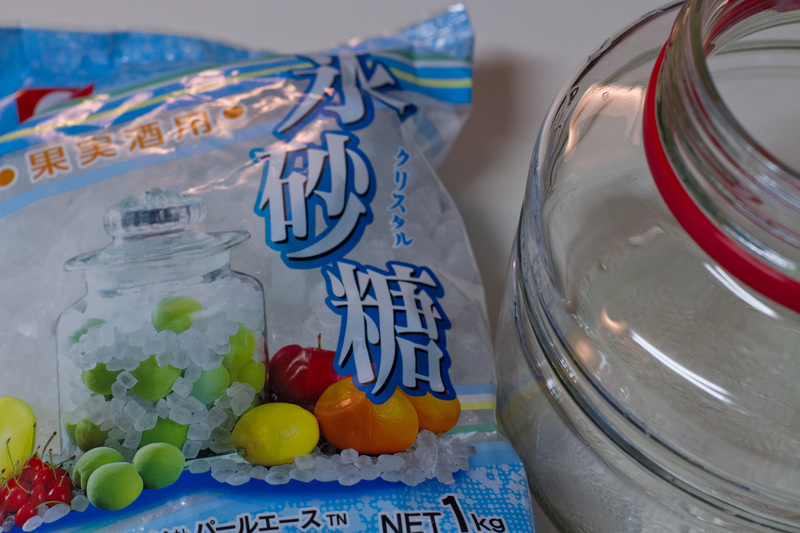 Late May to early June, Japanese grocery stores set up displays in the front of their stores with these little green fruits, rock sugar, shochu alcohol and large glass jars. It may seems like an odd mixture of supplies but these are the essential ingredients for making umeshu, a plum liquor, and other plum items. Ume, or Japanese plums, are bright green and not for immediate consumption. They are typically used to create liquor, pickled, made into a jam, and/or dried. This year, I decided to make ume syrup instead of the usual umeshu. To be honest, I was intrigued by possible recipes I could create using ume liquor. 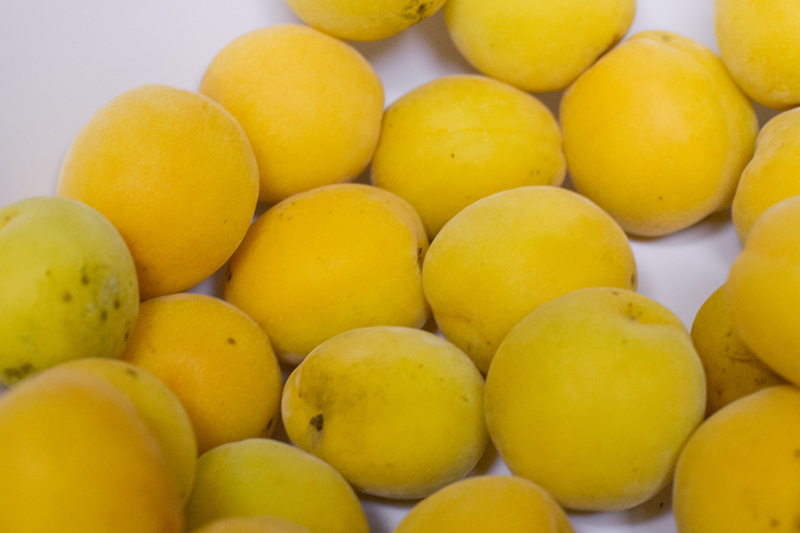 Umeshu, a cordial-like liquor, is probably the most popular use of the plums by the locals. Many of the other plum dishes require more time and effort but umeshu and ume syrup is fairly easy to make. The plums were given to me by a friend who harvested them over the weekend. The plums from the stores are a brilliant green but these ones were more orangish-green. You ideally want unripe and blemish-free when making any of the following recipes. I scrubbed them down and removed the stem from each one. Then I began layering the plums and rock salt in a sterilized glass jar. After using all ingredients, I placed the lid on top and screwed it shut. It’s that easy! Now begins the waiting game of shaking once or twice a day for the next 10+ days (For complete details on the process, check out the first link “ume syrup” under the recipes header). Add 1-2 TBSP (or more depending on how sweet you like it) to glass. 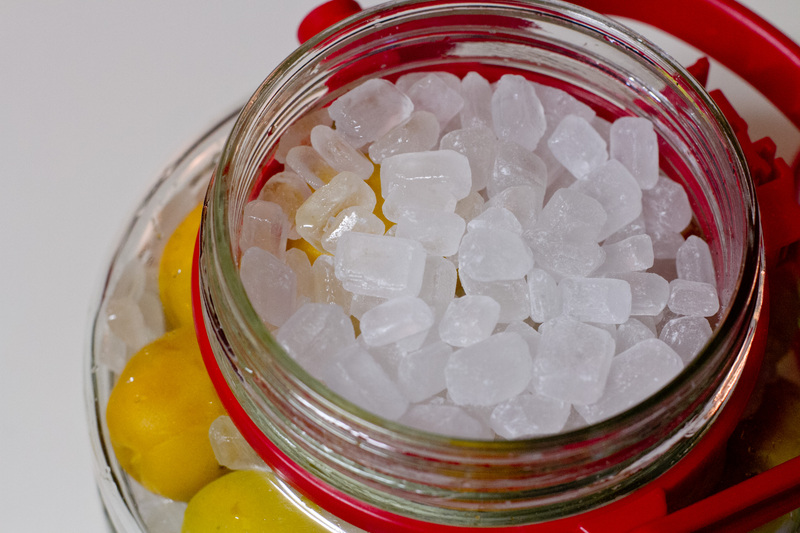 Add soda water until desired flavor/sweetness is achieved. Add ice and serve. Note: You can also add some sweetened condensed milk at the bottom to create a sweeter, dessert-style drink. Think of it as a plum cream soda. Yummy! Thank you so much for sharing the recipe. Recently at the supermarket I’ve noticed that they’ve been selling bags of ume and I wasn’t really sure what to do with them as they all looked unripe (clearly not to be eaten as they are). But now I know why 🙂 I’m sure your syrup will turn out delicious! Please update us in 10 days time! Olivia – I will definitely update. It’s amazing how it’s already produced a lot of syrupy liquid in just a few days. I can only imagine after a few more days!